The Kingswim Fast Track Program is a burst of four daily swimming lessons held during the school holidays. Fast Track is held at all of our locations throughout the year. You can find your nearest Kingswim and upcoming Fast Track dates by clicking on Find a Location below. Choosing how to keep the kids entertained on school holidays is an age-old challenge for parents. First, there’s the need to adjust the weekly family routine, even for those not at school, then there’s a little person in tow, full of energy and happy to be young, wild and free. And then, inevitably, it happens– they’re not sure what to do with themselves, and ‘strength of spirit’ arises! Been there before? You’re not alone! Our Fast Track Program, as the name suggests, is a great way to fast-track a child’s swimming skills. It is a well-researched fact that a short burst of intensive learning accelerates motor skill development. It’s also a wonderful school holidays boredom buster for Mum and Dad! Coming to Kingswim for the first time? No worries! Fast Track is open to all families, whether they are already in the Kingswim program, swimming somewhere else, or are new to swimming altogether. Everyone can benefit from the intensive learning program. Just like our regular swimming program, we offer small class sizes and personal attention to each child. Fast Track incorporates the lesson plans relevant to your child’s level, and overlays this with a focus on survival skills on the last day. All children receive a Fast Track certificate at the end of the four days. As well as being a source of encouragement, it also makes for excellent show and tell when school goes back! On this day, we greet all families, both new and familiar, and welcome them to Fast Track. New children will be assessed to help identify the level (known at Kingswim as a K-level) that is best for their needs. Children who are already in the Kingswim program will be placed in their current K-level for Fast Track. Teachers help the children to focus on the core skills that are needed to complete their current K-level. A focus on working within the current level continues. This is a great opportunity for new families to learn the milestones for their child’s K-level. For those who are already in our program, it is an opportunity to reinforce these milestones, and improve skills in a specific area of focus. We know that kids need ongoing encouragement, so we’re on hand to support them through sticking points and technique gaps, and to help give a little extra confidence. On this day, children are given the chance to practice their assessment tasks, as a way of helping them work towards the next level. Supervisors are on hand to review each child, and provide feedback to parents, ensuring that everyone is given close attention. Children are also introduced to what’s in the next level. This is a great way to work towards a whole new set of skills, and to help prepare children further for their regular lessons. Some children will even move to the next level, if through the Fast Track program they are identified as being ready. For the last day of Fast Track, emphasis is placed on water safety, survival and rescue skills. We know that the number one reason parents enrol their child in swimming lessons is to be safe in and around water, so this is an important inclusion in our Fast Track program. All children are given a Fast Track certificate at the end of program, to recognise and celebrate their participation. What should I bring to Fast Track? All children need to come with swimwear and a towel. 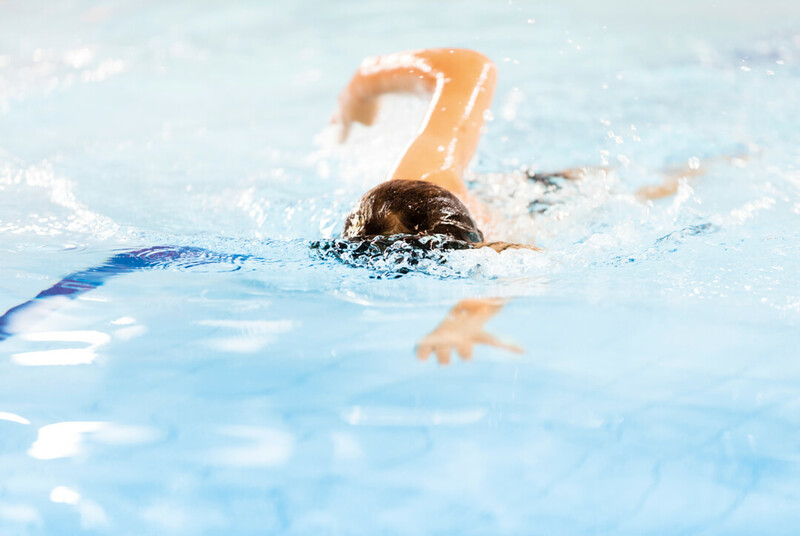 Children who are in levels K4 and above will also need goggles, as swimmers in these levels spend a large portion of the lesson with their face in the water, perfecting the various strokes. In the colder months, we recommend bringing something warm and comfy to change into at the end of the lesson. How long do lessons go for? How much does Fast Track cost? Our Fast Track program costs $55. How do I book Fast Track? Easy! Simply call your nearest Kingswim, enquire or live chat with us via this website and we’ll help book you in! When can I book Fast Track? You can contact us at any time about Fast Track, to book into the next one. We also know that it’s not always possible for families to plan ahead, so we also welcome any bookings right up to the day before, as well as those who want to join in on the day. Kingswim is our ‘second’ family! Andrew loves to participate in the Fast Track swimming program and in his weekly swimming lesson he loves to complete his freestyle.